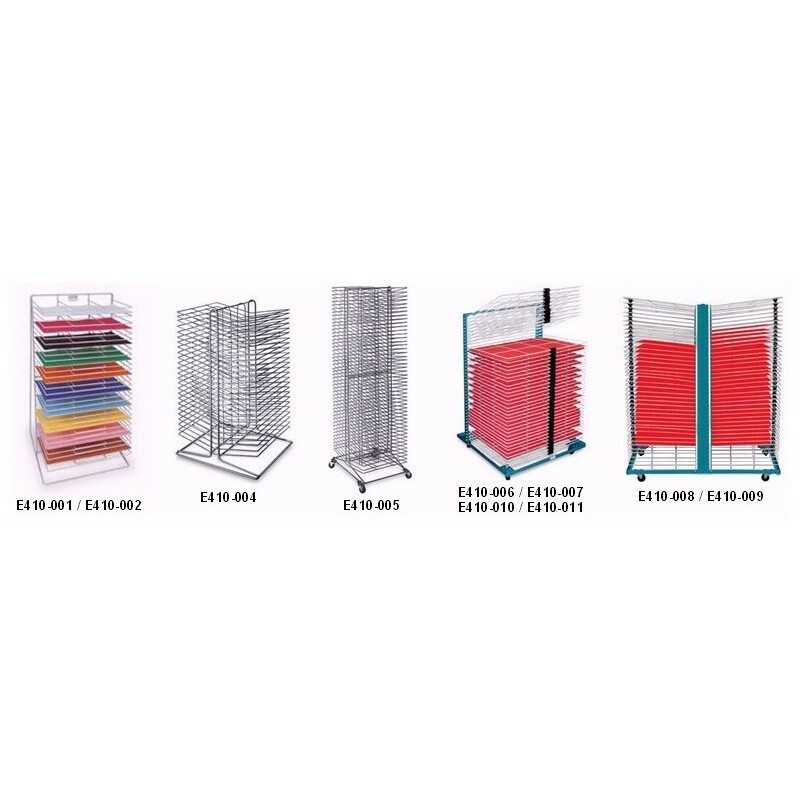 For shop, office, home or studio, these sturdy specialty racks are ideal for drying or storing prints, paintings, metal name plates or other flat substrates. All-steel models have a powder coated shelf finish to resist rust and solvents. These include the DR-18-30, DR-18-50, DR-18-30WD wall mount unit, and DR-18-100 caster mounted unit. All these models ship Ground Parcel Service. Ideal for commercial shops, schools, studios and institutional use, the lightweight portable models feature an easy assembly frame design. Lightweight, easy fitting shelves snap quickly into the all-steel frame. Rubber bumpers assure proper shelf spacing.